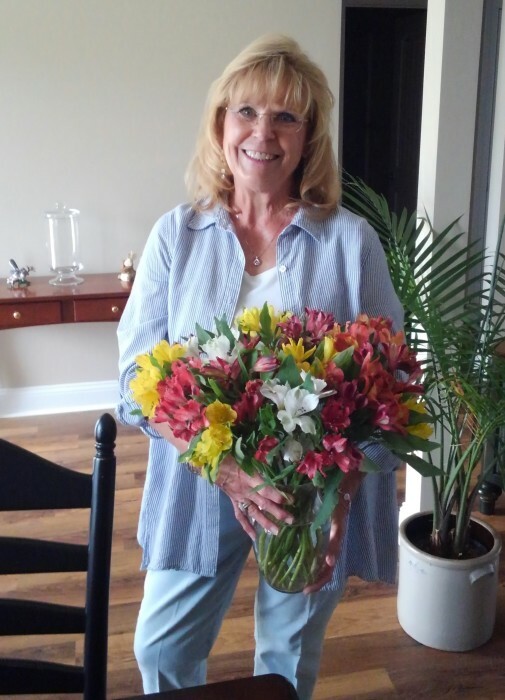 Bonita Kay “Bunny” Shupe, 71, of Cedar Point, died Tuesday, January 15, 2019, at Carteret Health Care, Morehead City. Services will be held at the Kelly L. Corrdoni Funeral Home, 1916 Moore Avenue, New Apolo, PA 15673 Wednesday, January 23, 2019 at 2:00 PM, with Pastor Lee Rupert officiating. Interment will be private in Edgewood Cemetery in Saltsburg, PA. The family will receive friends from 12:00 PM until service time at the funeral home. Bunny was born on October 13, 1947, in Westmoreland County, PA to Thomas and Louise Miller Mika. She graduated from Greensburg Salem High School and for many years she worked as an assistant to an oral surgeon. She was an avid gardener and loved cooking and baking. She also enjoyed quilting, but nothing beat long walks on the beach searching for specific shells. She is survived by her husband of 23 years, Ted Shupe, at home; daughter, Melissa Olewine Truxal, and Melissa’s children, Nicholas, Lauren and Catelyn, and their father, David Truxal; daughter, Tracy Olewine Palmer, and her husband, Rick, and their children, Ashley Tom and her husband, Andy, and their children, Casen and Luca, and Jessica Palmer; stepson, Adam Shupe, and his wife, Deana, and their children, Chloe and Lily; step daughter, Sarah Sperry, and her daughter, Ella Sperry; sister, Sandra Miller, and husband Larry, and brother Thomas Mika, and his wife, Mary, and several nieces and nephews. In lieu of flowers, the family request memorials in Bunny’s name be made to Action for Animals, P. O. Box 814, Latrobe, PA 15650.